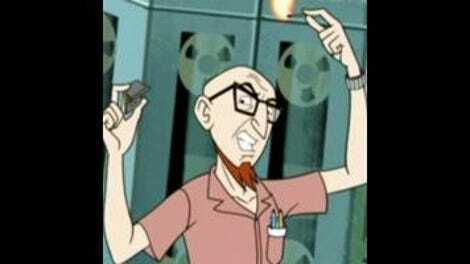 The Venture Bros.: "The Diving Bell Vs. The Butter Glider"
"The Diving Bell Vs. The Butter Glider"
Welcome back! The second half of Venture Bros' fourth season starts just a few months under a year from where the first half ended, but if Jackson Publick and Doc Hammer have any concerns over audience comprehension, they sure don't show it. "The Diving Bell vs. The Butter Glider" keeps up the manic pace the show has made its standard setting, opening in the middle of a chase scene, with Doc Venture already seriously wounded and slipping into unconsciousness (James Urbaniak doesn't put in a lot of work this week), 21 leading the cocoon on his first solo mission against Team Venture, while the Monarch and his lovely bride attend a birthday part for the lung cancer stricken King Gorilla. (The Monarch got him a carton of cigarettes for a gift. "Nobody told me!") This doesn't feel like a season premiere—the story is tight, but there's none of the structural trickery that the guys like to bust out for the big episodes, and there's nothing here to set this episode apart from the usual jam-packed craziness. Which is fine, of course, because this isn't a season premiere. Ignore the calendar, and try and remember what you were doing in December of last year. Maybe that'll help clarify. Let's see if we can unpack this nonsense. Doc Venture is in bad shape after that opening assault, and a trip to the hospital fails to improve the situation when some metal lodged in Rusty's body reacts badly to an M.R.I. (Plus, there's some bad health insurance mojo.) So Sgt. Hatred invites Billy and White over to try and do some medical magic—but the only diagnosis they can agree on is that they need some way to get inside Venture's body to see what's happening. Since the M.R.I. is out, it's a quick jump over to "Let's borrow a submarine from S.P.H.I.N.X., shrink it down, and faster than you can say 'Innerspace was a classic,' Brock, Shore Leave, Hank, and Dean will be motoring up Rusty's blood veins." 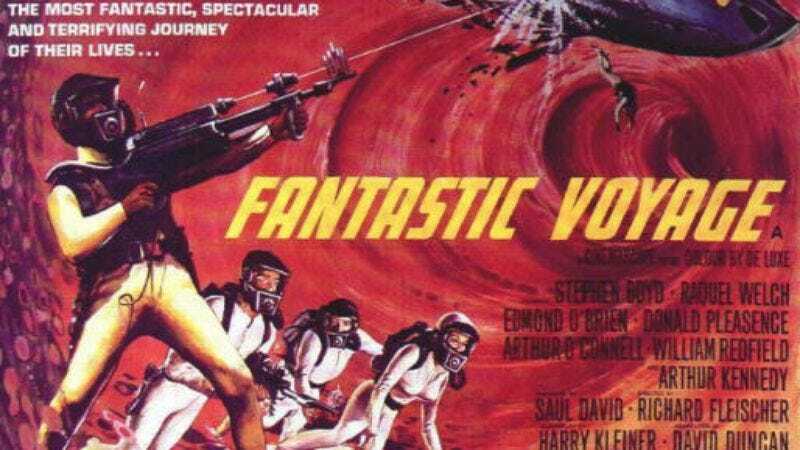 (Although Billy's right, this is definitely more Fantastic Voyage than Innerspace.) While this is happening, the Monarch has got himself a serious case of the mid-life blues, so he buys a sweet golden glider to Green Goblin up his life. Problem is, being the Monarch, he gets too attached, so Dr. Mrs. The Monarch recruits 21 and the rest of the henchmen to assault the Venture Compound to drag the Monarch into the fray against the only thing that could possibly distract him from his metal floaty-thing: his nemesis. This really isn't a show that gives a damn about attracting new viewers, and given the network it's on, and its cult status, I'm guessing Publick and Hammer have the freedom to go on doing whatever the hell it is they want to do, without providing newbies with a user's manual. (Hell, the first three seasons are on DVD. Go watch those, if you're confused. )(Would've been nice to get the first eight episodes of this season out before tonight, but I guess we can wait till October 26th.) I'm curious how this would all look to a neophyte, honestly; there are still enough great pop culture nods and one-liners that I can't imagine it would be boring, but it seems like every episode these days plays like "Escape To The House Of Mummies Part II" if you haven't been there from the start. It's pretty exciting, really. I'm not sure if Venture Bros. is the funniest show on television—it would definitely be in the running, but there are enough good comedies out there that it's not a clear winner. But I would say it's definitely the show that is least interested in holding our hands while we watch it. So, big welcome back, good stuff all around. I liked the mortality theme running through Monarch's story, although I'm not sure it was really deep enough to support all the subplots here. But there was something poignant in King Gorilla's sad decline—hilariously, terribly poignant. This series has done a lot with failure, and let's face it: the one big failure that we can all relate to is that everybody fails at living forever. That became obvious at the end of last season, when the boys lost their clones and 24 got all blowed up. As more time passes, all this running around craziness looks like silly people doing foolish things, and more like desperately sad people clinging to whatever distractions they can in the face of dull, grinding mortality. And I'm sure none of us, staying up past midnight on a Sunday night to write down the best lines and figure out all the references to movies we grew up watching, could relate to that. Sgt. Hatred was kept largely to a minimum here, but I still yearn for the day when Brock takes up his old job and Hatred gets the boot. I'm not sure it will ever happen, and I keep hoping I'll like the character more, but he just feels like dead-end. I love Innerspace. And hey, Kevin McCarthy played the bad guy, so there's some depressing accidental synchronicity for you. "I'm out of gun food!" "He looks like a gorilla suit with nobody in it—wearing David Byrne's Stop Making Sense suit." "We got one!" was a Ghostbusters reference. The House references were made explicit. Also, the only time I've heard "Pistole!" used was in Raiders of the Lost Ark, but since that's just a word, I'm not sure I can count it as a nod. "When you say 'Jump,' they say, 'What shark?'" "Hank, what color is my tongue?" "It's like a Wednesday… a light Wednesday." "It's exactly like a meat lily."